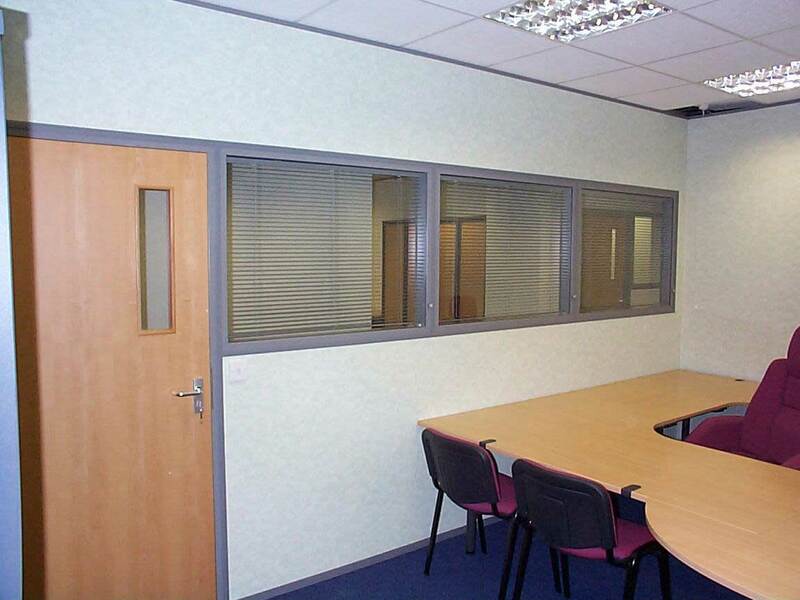 We have been specifying and installing Apton partitioning in offices for many years as it is one of the most modular and easily configurable partition systems on the market. 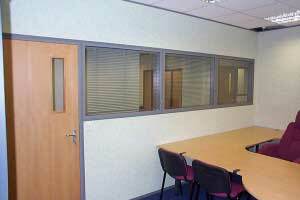 Apton Partitioning was originally part of the Dexion Group until 2003, it was a fairly basic system with limited variations and colour options, but in recent years the office partitioning range has been significantly enhanced / extended to provide a full suite of office partition solutions, which is why we chose their partitioning system to create our own offices from. 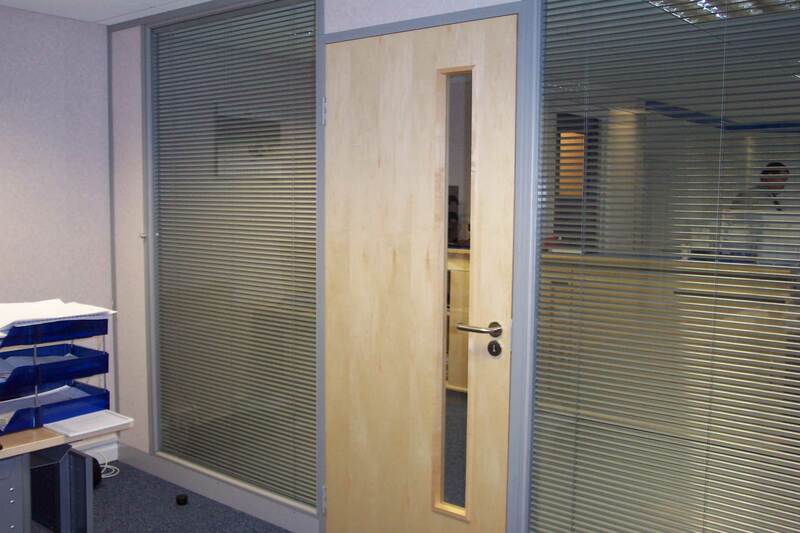 Whether you need a single solid, part glazed or fully glazed office partition, an entire office refurbishment or a full internal design and build of a new office complex, please give our experienced team a call for free advice, specification and quotations. 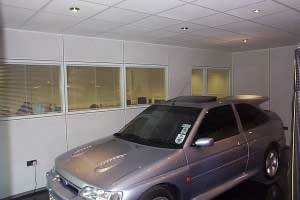 The Apton partitioning system is a non load-bearing modular steel stud and track partitioning system with 12.5mm thick plasterboard panels fixed to each side, insulation in between and steel omegas or vertical trims to retain the panels, door frames and windows. It is manufactured to BS 5234 is available in both 75 mm or 100 mm overall thicknesses, giving good sound reduction up to 50dB Rw and fire resistance up to 60 minutes and is available in a variety of specifications and finishes. 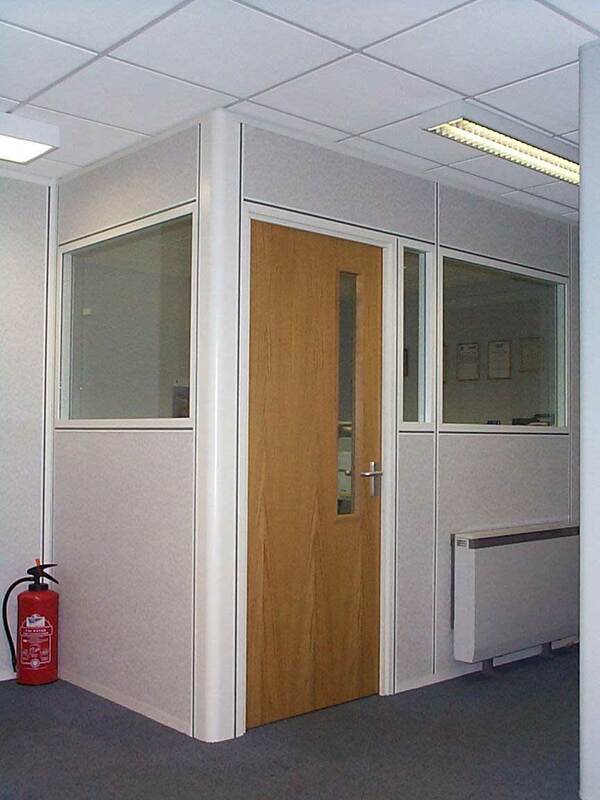 Pre-hung, pre-glazed door and window units combined with pre-decorated plasterboard panels make Apton office partitioning exceptionally fast to fit on site reducing the inconvenience if the office is already in use or reducing the programme requirements on new build offices. 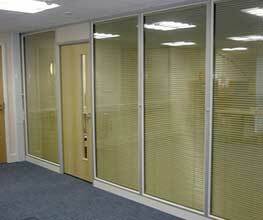 No finishing or wet trades are required on site and relocation of the partitioning if the clients needs change couldn’t be simpler. Windows are available either single or double glazed, part height or full height, with or without integral blinds (ideal if the room is off a busy corridor or you need privacy at certain times, but want to retain the benefit of natural light the rest of the time). 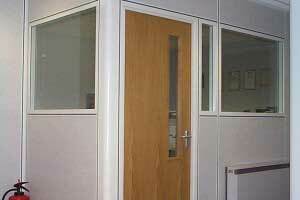 Doors are available in a wide choice of wood veneers or solid colours, in a range of heights / widths and with or without vision panels, overpanels and side panels. Door furniture is also available to suit almost any common style, or you can choose to match it to the rest of the building. Recognising that ‘standard’ modules are not always suitable to your office design application, Apton also offers a bespoke manufacturing service that can provide solutions for the most demanding of installations. Apton decorative steel components comes in a wide choice of 24 standard solid and metallic finishes, including a pre-coated oak effect which combines the warmth of wood with the strength of steel. Understanding the importance of matching existing schemes or corporate colours, almost any commercially available colour can be applied in the in-house powder coating facility. Sleek, stylish and aesthetically pleasing, framed Colourline partitions are high quality, cost effective, relocatable modular partitions that come in a choice of colours, allowing you to create just the right mood and tone for any part of the workplace. With pre-hung, pre-glazed doors and windows, and pre-decorated panels, Colourline is exceptionally fast and simple to fit on-site. There is little or no snagging and no wet trades required. 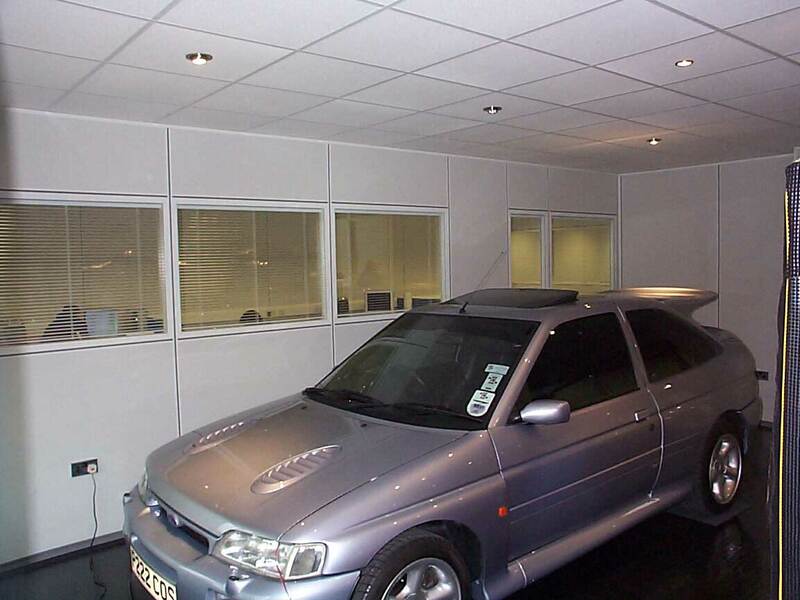 Add a splash of colour and transform almost any workplace into a professional looking environment with Apton Colourline 75mm or 100mm thick partitions. 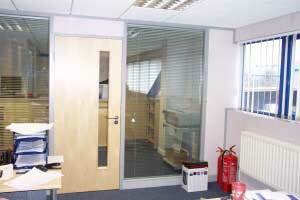 Integral venetian blinds match the finish of the radius corner. 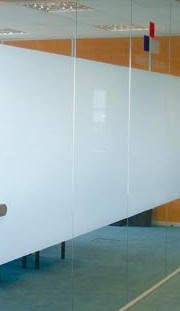 “High tech finishes for the modern work space” fashionable and sophisticated, framed Silverline partitioning expresses a modern contemporary look with its metallic appearance and rounded edges. Choose from a stunning variety of metallic paint finishes with doors in a range of wood veneers that match any style you wish to create. 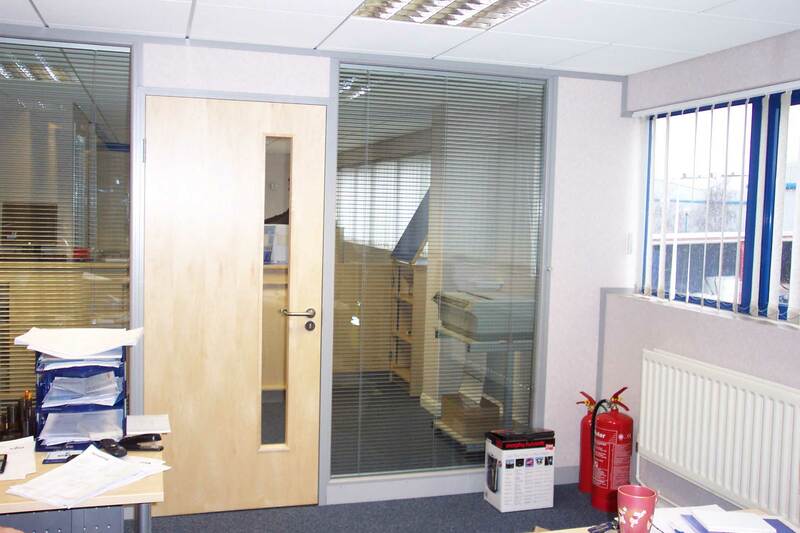 Silverline Apton Partitioning is 75mm or 100mm thick with powder coated aluminium joint trims and skirting or steel Omega joint trims. 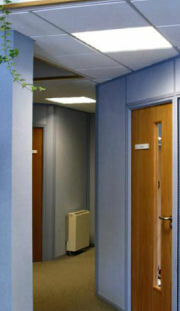 The PVC Omega inserts and flush skirting are available in 14 standard solid colours which can be used to complement or contrast where appropriate. 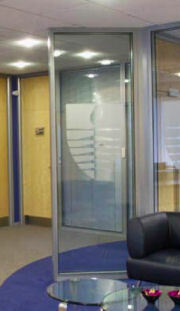 Glass panels are locked in place by pre-formed seals. “A clear choice for the office of the future” cool, serene and crystal clear, Infinity Connect and Contour incorporate one of the most appealing virtually frameless joints available today. 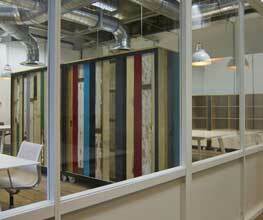 The nebula-hesion joint is the key to the superior aesthetic appeal of the Infinity Glass partition range. The unique symmetrical glass locking system, is virtually unnoticeable and friction fitted to create a striking finish. Made to measure full height glass panels can be configured in attractive smooth lines or pleasing curved forms to create a virtually seamless and alternative architecture. Infinity Glass relocatable partitioning is a flexible, modular system, tailor-made to your requirements to shape a visually stunning yet practical environment and with bespoke manifestations added can form a unique feature for the modern office if you wish.